Tired of religion? So are we! We encourage a personal relationship with the living God through His Son, Jesus Christ. 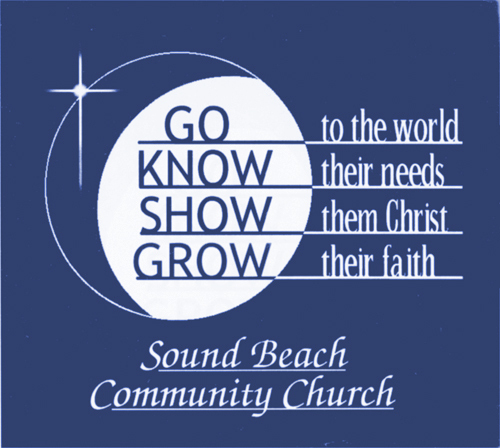 Welcome to Sound Beach Community Church! It's our desire to love the Lord with all of our heart, soul, mind and strength; to love our neighbor as ourselves (Mark 12:30-31); to love one another (John 13:34 ) and to worship the Lord in spirit and in truth (John 4:23). We are committed to the core values of the church: worship, fellowship, evangelism, discipleship, prayer and the Word. Our Church was founded in 1953 and has stood to serve the Lord Jesus Christ. We are an Evangelical Free Church. Our Pastor is John D'Eletto who is ordained by and has served with the Evangelical Free Church of America for over 17 years.